As a benefit for attending the 32nd Annual Meeting and Pre-Conference Programs, SITC provides enduring materials free of charge for the specific programs attended. If you are a SITC member, or member of the general public, but did not register to attend a Pre-Conference program or the 32nd Annual Meeting, the materials are available for purchase by clicking here. Presentations and video recordings are available based on permission from presenters. 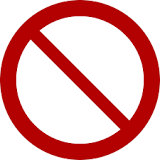 Presentations with this symbol indicate that the presenter did not grant permission to the presentation. 11:50 a.m. – 12:15 p.m.